Saturday night I attended a true “house party,” where musicians gather for an organized presentation to an invited audience in a private home. No professional sound system, in fact no amplification at all. Just a grand piano, a full drumset, an upright bass. We dubbed it a Jazz Cram Session, given the tight space for performers and tighter space in adjacent rooms for folding chairs. The core musicians were three college students and former teen cohorts who play together as much as possible on school vacations; the party was organized by the bassist’s parents as a means of presenting their talents to an audience of not-necessarily-jazz fans but interested friends and neighbors. These guys do get gigs on their own. Javier Santiago, pianist/arranger/composer, was on the bandstand at the Dakota last night filling in with Doug Little’s Seven Steps to Havana. A month ago, he and his trio had their own gig at the Dakota, and he just returned from a quick gig in California. 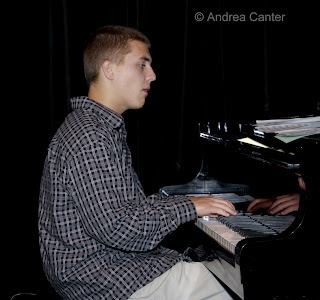 After two years at the Brubeck Institute, he’s off to complete college studies at the New School in Manhattan. 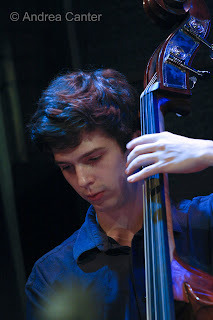 On bass, and host for the evening was Daniel Duke, student of jazz at the William Paterson University in New Jersey. 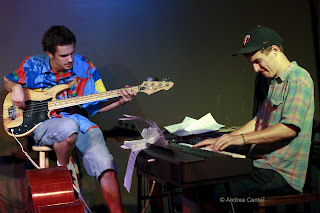 Daniel and Javier were partners in the first edition of the Dakota Combo, the Twin Cities high school version of a Brubeck Institute ensemble. On drums was Miguel Hurtado, graduate of Minneapolis South High and heading back for his final year at the Manhattan School of Music, and long-time musical partner of Javier at South High and many other youth bands. On several tunes, the trio was joined by trombonist Ben Link, also an alum of the first Dakota Combo, Daniel’s classmate at St. Paul Central, and now a student at the McNally Smith College of Music. And on two tunes, a young woman named Berit added vocals like a pro. She's a new high school graduate headed to Brown. Like any small community in the arts, the young jazz musicians of the Twin Cities have been finding each other, and jamming together, for years. Jamming together is not really accurate. They’ve been working, collectively and individually, when no one told them they had to practice. When it was not homework for band class. Before there even was a band class. What sets serious young musicians apart from the many band students enrolled in middle and high schools each year is their degree of commitment, a dedication that comes from within. It’s an internal hard drive loaded with RAM and memory chips, and its own energy source. And passion. They don’t need external rewards to play, to practice, to study. They might need to be told to stop and get some sleep! Most remarkable isn’t how much they accomplish under the guidance of band directors, private instructors, jazz camp leaders, but what they accomplish outside of the organized learning and performing experiences. For the house party, these guys, age 20-21, had composed the music, written the charts, provided direction as need to their fellow musicians, rehearsed. They spend hours honing their chops. They are their own agents, they make their own contacts, find their own gigs. Of course now they are young adults. But already they have years of experience with the tasks of professional musicians. They have been composing, practicing, gigging, listening, learning, promoting since their early teens. All this while completing school, now completing college programs. And they are not alone in their singular pursuit of careers that allow them to explore their passions in full. The young musicians who have been part of the Dakota Combo program for the past three years, generally 16-17 year-olds when they audition, similarly show this precocious professionalism whether engaged in organized rehearsals under adult direction or in finding and following through on private or public gigs. They constantly listen to the music that inspires their own, compose, arrange and rearrange, seek out new partners who share that passion, look for new learning opportunities. I was most impressed in the past year with a quintet dubbing themselves The Alternates. With the exception of the bassist, who was selected for a second year with the Dakota Combo, these guys were all “alternates” for the Combo, and honor with no new opportunities. So they formed their own band, organized their own weekly rehearsals, sought their own gigs, wrote or arranged their own tunes. They were, in essence, “a band” –a group that developed its own sound, its own repertoire. Without adult guidance, without “assignments” or externally imposed rules or timelines. They just did it. And did it very well. At the house party, we (the mostly-nonmusician, older-adults-in-awe) remarked about the level of passion and follow-through of these young men. But it’s really part of a bigger chain. Although not universal, supporting many of these bright talents is an equally strong commitment from families, from parents, to give them the green light, to give them permission, to give them wide berth to propel themselves into that musical universe. Parents somehow create those first opportunities, by directly introducing music and encouraging an instrument, or by affirming a youngster’s first expressions of interest, or simply by not blocking or deflecting the first spark. Then there’s transporting to lessons, paying for lessons, finding lessons, listening to hours of practice, providing space for the band. And cheering them on as if they were quarterbacks or goalies rather than saxophonists or drummers. And later? Refinancing the house, putting off vacations, whatever it takes to be sure that an acceptance at Juilliard or Manhattan or Berklee is more than an honor, but also a reality. And knowing that in the end, that music degree won’t likely translate into a lucrative job to pay back the loans. The internal flame that fuels artistic passion burns on its own, and among the most gifted, it burns early. But having a support system to fan those flames makes a huge difference. Thanks to the young artists who share their gifts. And thanks to the families who share their young artists. Friday night’s usual trickle-in crowd at the Artists Quarter was mysteriously replaced by a full house at showtime last night. Maybe not so mysterious, given the occasion was the 90th birthday celebration for everyone’s favorite grandpa and saxman, Irv Williams. Barely taller than his tenor and surrounded by “young” monsters in their own right (Peter Schimke, Jeff Bailey and Kenny Horst), Irv, the musician and the man, is never anything short of a giant. Big tone, big heart... naturally a big crowd. 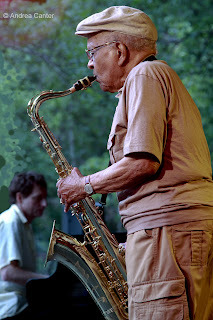 Holding up his ultra-shiny tenor sax, Irv told of a request to donate his long-used horn to the Minnesota Historical Society for its Greatest Generation collection, resulting in turn in a gift of a much more expensive Selmer. “It’s a great horn, but I miss my old one, this one is not as mellow.” Yet I think Irv Williams could make a K-Mart whistle sound as mellow as warmed brandy on a winter night. They don’t call him “Mr. Smooth” for no reason. The AQ birthday gig covered a lot of Irv’s favorites, from the majestic opening “I Hear a Rhapsody” to the energetic closing (energetic, after two sets ending at midnight), “Softly, as in a Morning Sunrise.” At least outwardly, Irv was as fresh as that morning sunrise, and glowing more. Irv’s amazing dexterity and lung power not withstanding, it’s the ballads that are his signatures, and two of his favorites are surely mine as well: “Here’s to Life” (which he first heard via Shirley Horn) and his own “Besti’s Song,” my nominee for the most angst-driven ballad in saxophone literature. It’s hollow, haunting, and beautifully tragic. At 90, Irv Williams has many stories to tell, and he’s a bit of a stand-up comic. But he lets his horn do most of the storytelling, and we’re still gathering at his knee for another, and another. If you use local print media as your guide, you would have to agree with our friends at Minnesota Monthly that jazz is hard to find. Today’s Star Tribune, for example, in its “big gigs” listing, has no jazz at all. Maybe it does not help that the biggest gig at the Dakota Jazz Club this week (arguably) is Aaron Neville. And that is indeed a big gig.... but where’s the jazz? Fortunately, what’s missing from the Strib is in plentiful and exemplary supply, including jazz gigs at the Dakota. 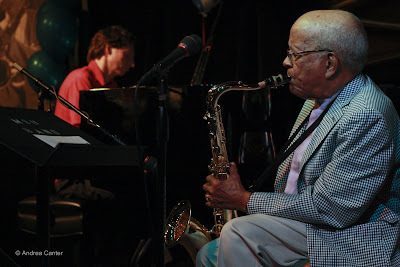 And there should be a banner headline declaring this Irv Williams Weekend in the Twin Cities, as the tireless tenorman celebrates #90 on both sides of the river, tonight (8/14) at the Artists Quarter and again Monday (8/17) at the Dakota. 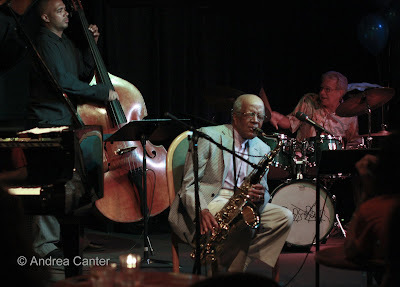 As prolific in his 9th decade as most musicians in their prime, Irv still holds weekly gigs (happy hour at the Dakota on Fridays, pleasing the Saturday diners at Il Vesco Vino) and brings his quartet to the AQ a few times each year; he was one of the prime acts at the 2009 Twin Cities Jazz Festival. You won’t hear a sweeter horn or meet a sweeter guy. Birthday cake is on the set list, and Irv has more than enough lung power to handle 90 candles. Another double-header this weekend features saxophonist/flautist Doug Little and his Seven Steps to Havana. It’s a multi-cultural experience, with band members from the US, Cuba, Puerto Rico and Mexico, tied together by Doug’s immersion in the traditions of Cuba and Brazil as well as solid American post bop chops. They’re at the Dakota tonight (8/14) and the AQ Saturday (8/15). The weekend also includes Patty Peterson at Crave in the Galleria (8/14); steamy vocalist Ginger Commodore at the Dakota followed by the edgy James Buckley Trio (8/15), young creators Bryan Nichols and Jeremy Boetcher in a piano/bass duo at Café Maud in southwest Minneapolis (8/15), and the always engaging Connie Evingson at the Dakota to close out the weekend (8/16). If you are down around Northfield this weekend, or decide to make the short drive, it’s the first Northfield Jazz Festival. There’s a ticketed performance by Butch Thompson tonight (8/14) and an afternoon of free music in the park from noon on Saturday (8/15). 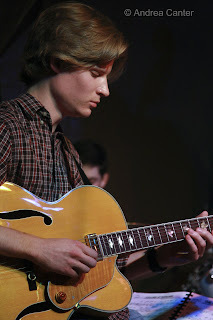 The opening act, the Joe Strachan Quartet, features some of the most gifted young musicians around. For the night owls, Slide Huxtable, one of the area’s most exciting if infrequently appearing ensembles, takes the stage at the Clown Lounge (Turf Club) for a 10:30 pm gig on Monday (8/17). Their 2007 recording was one of my favorite of the year... and the next. SH features trombone master/leader Mark Miller, guitarist Bill Bergman, bassist Chris Bates and brother JT on drums. Looking for Trouble? Vanessa Trouble, that is. The intriguing New York vocalist will be in town with Minnesota transplant, trumpeter Charlie Carinicus, for an exciting evening on Tuesday (8/18). Just down the street at Hell’s Kitchen, Maud Hixson takes us to Paris with a new project, French 75. 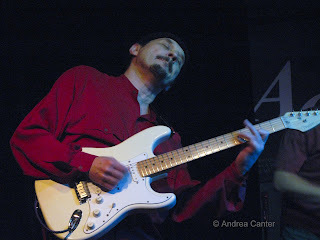 Thursday night, Hell hosts the sublime Arne Fogel with the Wolverines Trio. As always, great chamber jazz prevails at the AQ midweek, with Dave Karr’s Quartet on Wednesday (8/19) and Phil Hey’s Quartet on Thursday (8/20). For a noon reprieve, Vicky Mountain and James Allen offer the perfect break with swinging tunes at Anita’s Café in the Landmark Center in St. Paul, previewing their new release, Sincerely Yours (8/19). And your pizza quota for the week can be filled with song, Monday night with Charmin Michelle, Wednesday night with Maxine Sousé, at Fireside Pizza in Richfield, both accompanied by Denny Malmberg, master of wit and keyboards. 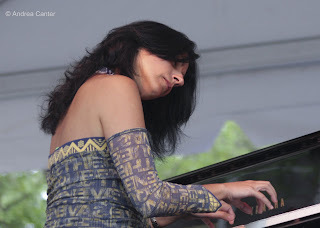 On the jazz horizon: A dazzling weekend (8/21-22) at the AQ with Kelly Rossum (releasing a duo CD with Phil Hey and playing in varying combinations with Hey, Adam Linz and Bryan Nichols); one night with the amazing pianist Amina Figarova at the Dakota (9/3); two nights with Chick Corea, Stanley Clarke and Lenny White at the Dakota (9/7-8). And way out on the horizon but never too early to mention – Dave King for Two Days, an amazing line up over two nights (March 13-14) of Dave King’s many projects, all at the Walker’s McGuire Theater, and featuring The Bad Plus, Happy Apple, Bad Apple, Buffalo Collison (with Tim Berne and Ethan Iverson) and two new bands, one reuniting Golden Valley “kids” King, Reid Anderson and Craig Taborn and another with Adam Linz and Chris Speed. Call it the Dave King Modern Jazz Festival. Check the Walker website for tickets. I’m afraid I’d be in dire straits if I depended on writing gig reviews for a living. Not because I don’t get out to hear live jazz, and not because I fail to record my thoughts about performances at the time. But finding time to put those thoughts into some semblance of a review in a timely manner is challenging to say the least. But I might borrow a strategy from the Star Tribune, which otherwise has little to offer in the realm of jazz, and “pick six” cool jazz gigs from the past week or so. Each deserves its own blog, but... this fits my reality better at the moment. Think of this as six short blogs in one long entry. 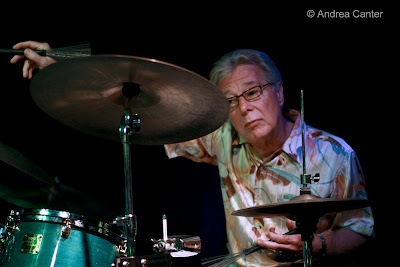 July 30, Dan Musselman Quartet at the Dakota. Dan’s star is rising fast, and deservedly so. His brash recording debut of all original solo compositions was a valid heads-up. Young (maybe 23? 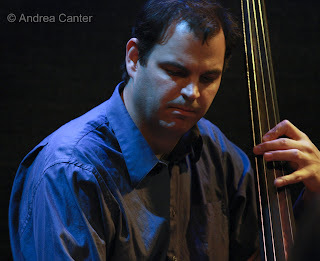 ), creative and technically brilliant, somehow the fact that Dan studied with both Craig Taborn and Kenny Werner says it all regarding his melodic bent steeped in harmonic excitement. With masterful Adam Linz on bass and Jay Epstein on drums, and another quickly rising star, Brandon Wozniak on alto sax, this was the sort of night that defines a good jazz gig—nothing held back but lots of appeal to a wide audience. My friends came by mistake, they thought this was the night of the Trumpet Summit. They stayed, they bought Dan’s CD, and raved about their accidental discovery. This glorious night deserved repeating, and we only needed to wait two weeks for the next gig at the Artists Quarter on August 12th. As in Minneapolis, this was another night to savor Dan’s technical wizardry and creative explorations, as well as those of his cohorts. Even if Adam Linz was heard to mumble “Oh man, this one is hard” at the start of Dan’s “On the Way,” the bassist made it seem easy. It’s hard to photograph the musicians who use body English to form notes and phrases, and Brandon Wozniak is artfully in that camp. And there’s no one in this jazz town with more dramatic body language than Jay Epstein, whose entire forearm is a drum stick. July 31, Trumpet Summit at the Dakota. We get lots of opportunities to hear Kelly Rossum in a variety of moods and configurations this month, but it’s all a grand farewell as he takes off for New York on the 30th. But first, he assembled a gaggle of horns for an evening of everything trumpet. The initial billing was a foursome—Kelly, young whiz John Raymond, and two of the finest from the Minnesota Orchestra, Charles Lazarus (who legitimately composes and plays jazz) and Manny Laureno (who sticks with classical repertoire but has the chops for more). 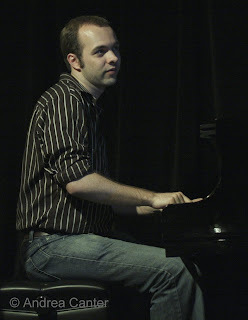 That would have been exciting enough, but then Kelly invited his recent mentee, now alum of the Dakota Combo and incoming freshman at the New England Conservatory of Music, Jake Baldwin. Now more than enough to sing the glory of brass, there was more, as the final set found several local trumpeters taking their turn, and the final chorus was a blowout of no less than six . With all that it could have been too loud and too raucus, but then that’s the beauty of trumpet in expert hands and lips—one, two, three or more at a time, these trumpets sang, soared, sassed, whined, cackled.... but it was always musical. Kelly opened soloing with the always fine Dakota Trio (Tanner Taylor, Gordy Johnson, Phil Hey) on “When It’s Sleepy Time Down South,” the tune Jake soloed on with the Combo last December. Jake got his turn later, and made it count, his professional debut at the Dakota as well as his own farewell, at least til the holiday break. Only 18, he proved he belongs on stage with the best in town. And John Raymond, with an unforgettable “Night in Tunisia,” saved some energy to lead his band in the Late Night set, also a memorable farewell as he heads to New York (SUNY Purchase) for graduate studies. Maybe he and Kelly can join forces.., and hey, Jake is only a short commute away in Boston. Maybe the Trumpet Summit East is on the horizon! 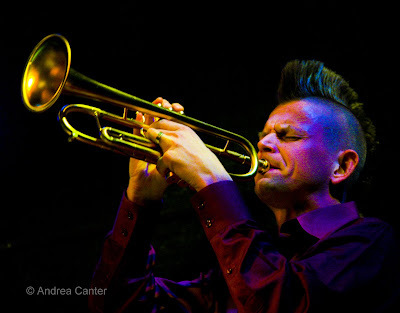 August 1, Chris Morrissey Quartet at the Artists Quarter. 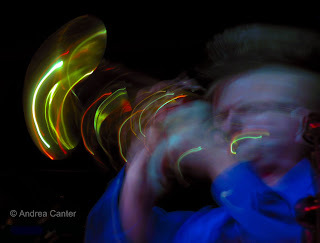 There’s a growing number of top-level jazz artists who call the Twin Cities “home,” even long after they move on to New York or beyond: Bill Carrothers, Craig Taborn, Reid Anderson, Michael O’Brien, Geoffrey Keezer (if you stretch your boundaries of the Twin Cities), and more. 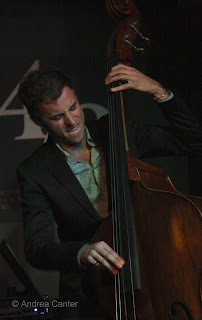 Now count bassist Chris Morrissey, based in New York, who returned to celebrate his debut recording for Sunnyside, The Morning World, with Michael Lewis, Bryan Nichols and Dave King—three hot commodities in the jazz world who maintain their Twin Cities addresses. Sometimes suggesting a Bad Plus With Saxophone, this quartet played some of the most interesting, accessible modern music I’ve heard in quite a while, varying from lushly beautiful to edgy and even humorous, all from the pen of Morrissey, all highlighting the individual as well as collective voices. I hope Morrissey enjoys many visits back home. August 7, Kevin Washington Quartet at the Artists Quarter. 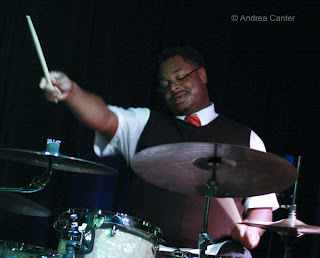 Usually in a sideman role in which he often steals the spotlight with his explosive percussion, 34-year-old Kevin Washington has been booking and leading gigs at the Blue Nile. It was time to put his far-ranging musical ideas on stage at a prime jazz venue. 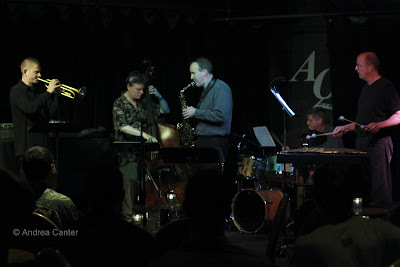 Seeking to go beyond the usual sounds of post bop and infuse both the energy and the rhythms of an even younger generation, Kevin put together a quartet of young artists, tossed in veteran bassist Jay Young, and brought down the house at the AQ. The repertoire covered “Work Song” and “What Is This Thing Called Love?” and a batch of Washington originals, including his glorious “Air” and the hymnal “Completion,” the latter written for wife Lisa. Lisa, aka spoken word artist Sol Testimony, joined the band as well. But the surprise delight of the evening was Kevin’s vocals. Yes, mom Faye Washington is a singer as well as flautist, and yes, Lisa had advised me some time ago that Kevin really can sing. But this was my first opportunity to hear him, providing another “horn” voice for the quartet. Overall it was an evening of surprises, starting with a young keyboard giant whose name, I think, is also Kevin. I better get down to the Blue Nile and check out these guys on their home turf. And maybe we will see the KWQ again, soon, on one of our mainstream stages? August 8, Metropolitan Port Authority CD release at The Beat. I’ve met each of the young musicians of MPA in one context or another. Pianist Joe Strachan, bassist Cory Grindberg, and trumpeter Jake Baldwin have been part of the Dakota Combo (Jake and Cory for the past two years); drummer Isaac Zuckerman is a familiar voice of Jazz 88 radio as a student broadcaster and has also led his own quartet as a warm-up to the KBEM REEL Jazz film series at Bryant Lake Bowl. 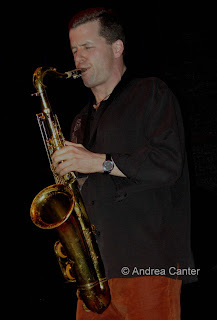 Saxophonist Remy Taghavi was already familiar from his years with Walker West and MITY jazz ensembles. Five young men on a mission to create new compositions and arrangements got themselves a studio date and recorded a CD that surely verifies jazz as a very much alive and attractive genre. At the Beat Coffee House in Minneapolis’ Uptown, and despite the parking challenges created by the final evening of the Upton Art Festival, a full house of family, friends, and interested bystanders enjoyed a remarkable performance, highlighted by original compositions and intriguing arrangements. All but Taghavi are new high school graduates now headed to college music programs, while Remy is returning for his second year at the University of Southern California where he studies classical bassoon. They gig around town as MPA, and hopefully will reunite periodically as school vacations allow. The CD, and the gig at The Beat, were filled with original compositions, like Joe’s “Beetle Day,” Jake’s “User Error,” Cory’s “French Benefits” and Remy’s “Bathroom of the Gods.” One of my favorites was Cory’s “Faded,” recorded for the Dakota Combo self-titled release but performed by MPA with a new arrangement, the pseudo-scary trombone antics of the original replaced by a more swinging, sassy groove for trumpet and sax. The band also powered through a set of standards with new twists, from Strayhorn’s “U.M.M.G” to “Lady Bird,” “Lullabye of Birdland,” a rousing “Footprints,” and an ethereal “Round Midnight.” St. Thomas U guitar student Geoff LeCrone joined the band for a final set. No one left, the house was still full at the end of the third set. I am temporarily passing over one of the coolest events of the summer, The Freedom Jazz Festival. It will get its own blog. Soon. Really. 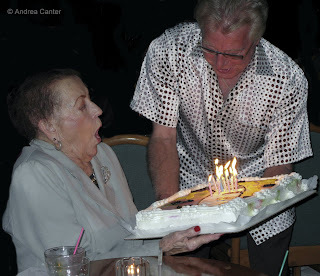 Today is my mom’s 87th birthday, and she still enjoys jazz as long as it’s not over-amplified. Her hearing is still perfect, which is probably more than I can say for a lot of us who often sit too close to the speakers, monitors and drumsets! For my mom, the volume might be beyond her comfort zone at the Artists Quarter this weekend (8/7-8/8), with Kevin Washington and his Quartet. However, she’d probably enjoy hearing about this young powerhouse who has been a professional musician since age 5 and whose very muscular and aggressive approach has garnered a wide following locally and beyond. Kevin has great respect for the traditions of the music while also seeking to infuse his compositions and interpretations with the sounds of the “street music” of the past twenty years. He hinted that there might be a hip-hop or rap artist or two in the vicinity of the AQ stage this weekend. If you missed Tiempo Libre’s gig with classical flautist James Galway last night at the Dakota, the young Cuban ensemble returns on their own for another firestorm tonight (8/7). The recently released O’Reilly Street, their collaboration with Galway on a new interpretation of Claude Bolling’s Suite for Flue and Jazz Piano, and their own melding of classical grace and Cuban fiesta, Bach in Havana. Be ready to stand up and sing, dance, and just party! Keyboard master and master of all things music, George Maurer, holds down the Saturday night slot at the Dakota, this time with everyone’s favorite diva, Debbie Duncan. And hang out or come in late for the weekend editions of Late Night at the Dakota—guitar whiz Park Evans and quartet shine tonight, and a new project from tuba king Stefan Kac (Kac/Granowski/Hepola) takes us into the wee hours Saturday. 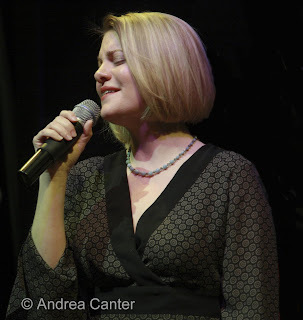 Patty Peterson and her trio perform tonight (and next Friday night) at Crave in the Galleria (Edina) – acoustically far from perfect but if you can grab a table near the music after 10 pm, you can enjoy a very intimate set – not a common opportunity with a performer as popular as Patty. Only a few miles away but seriously divergent in sound and source, Café Maude offers contrasts in modern jazz, with the electronic wizardry of Ryan Olcott’s circuit bendings with James Buckley and Joey Van Phillips as the Food Team Trio tonight, followed by Eisner’s Klezmorim with accordionist Patrick Harrison tomorrow night. But if youthful energy and unencumbered creativity appeal to you, look no farther Saturday night than The Beat Coffee House in Minneapolis’ Uptown. On stage, releasing their first recording, will be the Metropolitan Port Authority, a quintet of young rabble-rousers with precocious jazz chops. Three of these still-teens are recent “grads” of the Dakota Combo—Joe Strachan, Jake Baldwin and Cory Grindberg, now heading off to college programs at Lawrence, New England Conservatory and Northwester U, respectively. Their partners are saxophonist Remi Taghavi, the “old man” of the bunch and starting his second year at the University of Southern Cal Thornton School of Music (as a bassoon major!) 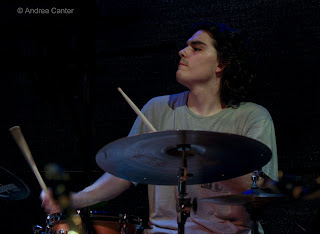 and KBEM student announcer/drummer Isaac Zuckerman, heading out to the U of Colorado. See details and CD review on Jazz Police. They may be leaving town for school, but I think we will be hearing a lot more from them, collectively and individually. Sunday will hopefully bring a dry summer day for the annual Bloomington Jazz Festival, held at the Normandale Lake Bandshell. Swing is front and center with Vic Volare, Christine Rosholt and The George Maurer Group. Nice setting, good music, perfect for a family outing. 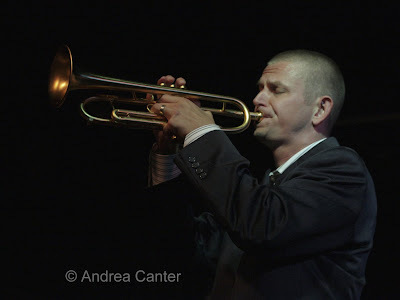 Tips for the coming week include another opportunity to hear the Dan Musselman Quartet (at the AQ on 8/12)—their gig last week at the Dakota was one of the best of local jazz of the summer; The Tuesday Night Band with very special guest Jim Rotondi (8/11) and How Birds Work (8/13), all at the AQ; pizza and swing with Charmin Michelle and Denny Malmberg at Fireside Pizza in Richfield; Reynold Philipsek and Jeff Brueske, free at Centennial Lakes (8/11); Ramsey Lewis with Bruce Henry at Orchestra Hall (8/13). If you enjoyed the KBEM REEL Jazz series of films over the past two years, check out the Bela Fleck flick—complete with guest host Bela Fleck—at the Cedar on Thursday (8/13). Coming soon—Irv Williams’ 90th Birthday Bash (8/14 at the AQ and 8/17 at the Dakota); Doug Little’s Seven Steps to Havana, at the Dakota 8/14 and AQ on 8/15; Ginger Commodore at the Dakota on 8/15, Connie Evingson on 8/16; New York vocalist Vanessa Trouble with trumpeter Charlie Carinicus at the Dakota on 8/18. 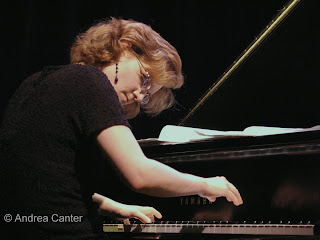 Maud Hixson has a couple hot gigs coming up – with Rick Carlson at the Downtowner Woodfire Grill on 8/15 and with a new French ensemble at Hell’s Kitchen on 8/18. Finally, the charming town of Northfield holds its first jazz festival Saturday afternoon, 8/15.